* Please Note: This model is a direct replacement to the previously available FMI Alpine 42" Stainless Steel Outdoor Vent Free Fireplace System O42NRRH. 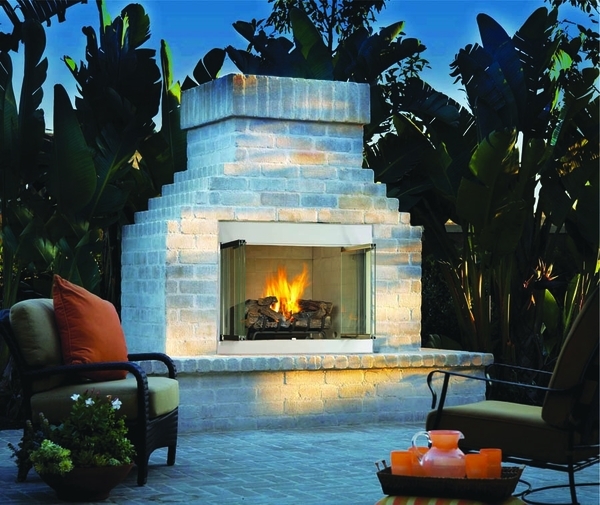 Create the perfect outdoor experience with this outdoor vent free fireplace system. As this outdoor unit does not require a ventilation system or fireplace construction you can purchase it and use it almost immediately! Though a gas fireplace, this fireplace system looks very authentic due to the detailed bark, split wood, charred textures and glowing ember bed burner. Sit outside and enjoy the aura of your new Superior gas fireplace, assured of both the quality and beauty of your recent purchase. Can this model be chosen without liner? Is it possible for the inside to be black? 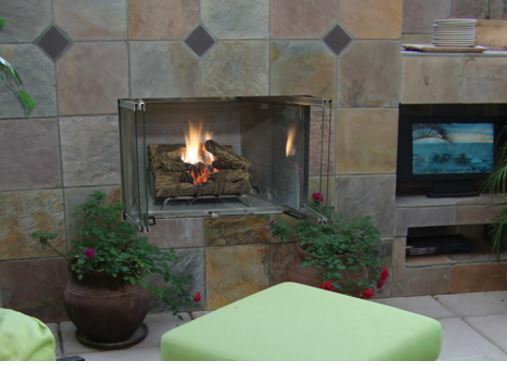 This fireplace is only available with the white stacked and white herringbone panel options. Even if these panels were to be removed, the inner walls of the firebox would be stainless steel, much like the rest of the fireplace chassis. The same will be the case for any fireplace that is listed for outdoor use.